At TDS, we are constantly striving to bring cutting-edge Internet, TV and phone services to our customers, which is why we have been expanding our fiber-optic network. This state-of-the-art technology uses light to send data at faster speeds over longer distances than traditional cable—making it the gold standard for delivering the fastest residential internet service. Even though the maximum internet speed you can experience with TDS Fiber is 1 Gigabit per second, it’s normal for customers to not to hit this exact number on a speed test. This is because real-world internet speed is influenced by a number of external factors. For example, each packet of data sent over the internet includes routing information that uses up a little of the total bandwidth. Another factor is what type of equipment you have—older devices or models won’t run as fast as newer ones. The best Wi-Fi speed is found right next to your router. In order to get maximum internet coverage, place your router near the center of your home. Do not place your router on the floor or put it inside of a closet or cabinet as doing so will create interference and slow down your internet speeds. Wi-Fi signals are weaker than a hard-wired Internet connection and they can be blocked by wood, drywall, cinder block, and other construction materials. To help improve your internet speed, avoid placing your router in an area with a lot of walls. You can also maximize your internet speed by replacing older devices with new ones. More often than not, newer phones, computers, and tablets are capable of supporting faster internet speeds than their older counterparts. Where is my WiFi password and SSID? 9 Responses to Why am I not getting full 1 Gig? The article title the content of the first half is spot on. Inclusion of wi-fi and getting the max speeds out of wi-fi seems out of place since very few clients (laptops|tablets|cell phones) will ever receive more than 200mb. This is incorrect. 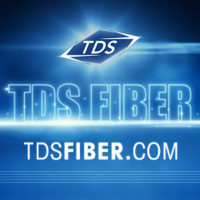 TDS Fiber is 1 Gigbit (or 125 Megabytes) per second. A bit is 1/8 of a byte, which is a common source of confusion in Internet speed measurements. This is a very substantial difference. Even with perfect connection, nobody will ever see 1 Gigabyte per second (or 8 Gigabits), as that is not an offered speed anywhere in the country on any service provider. GREAT catch! How did we miss that? Thank you for the correction :-). Hey folks, I’ve had TDS 1gig service in NH for about 5-6 years now, and used speedtest.tds.net web site to test it for years. I’ve always gotten about 920 mbps speed results on this web site. Since maybe late Spring I’m getting 300 mbps download speed max. I called TDS technical service in July and got some conflicting info, but eventually the local tech told me that the speediest web site can’t test 1gig anymore. Do you know if this is true, and is there another web site where I can check my speed? Hi, James. I reached out to our product team and learned the following: the tech you spoke with is correct—the speedtest.tds.net test hasn’t been doing a great job measuring 1Gig speeds because its flash based –but that’s changing in the next few days. We propose that you check again next week and see what your test says, and if you’re still not getting the speeds you used to, let’s get repair involved. As this blog mentions, there are loads of things that can impact speeds so hopefully some one-on-one troubleshooting will help. Thanks Missy……okay just loaded the speedtest.tds.net web site after I saw your info, and I see it’s been updated now, not flash anymore…..numbers are actually worse though,….roughly 175 download, 350 upload…kinda strange. Just fyi, I’m running on a Mac, and I’ve bypassed my Apple router and am hardwired directly into the Mac from the TDS modem…..also restarted the modem before the test to remove that also as a possible issue. Basically I get the same numbers whether I go through my router hard wired, or if I bypass the router hard wired. Looks like I maybe need to contact technical service dudes, but is speedtest still working on this web site update, is it expected it will improve….or is the web site I see today reality? I really don’t know on the website update, to be perfectly honest. I was told the update was going in this week, but I don’t know if other processes are still being changed. At this point, so you don’t have to wait for help, I’d advise you to give our repair team a call. This sounds like something the experts need to troubleshoot with you to find out just what’s going on.